It’s the nature of time not to remain constant. 2011 came and now it’s going but will always remain etched in history. And with 365 days A LOT has gone down, all in all, it’s been a great year. This time I’m going to do it a bit differently. I have just watched a movie that has totally changed the view of my year. Yes it’s had very many highlights and lowlights (my word) I must say but sometimes all it takes is a word, an observation or better yet a movie to make you realize some things that you probably took for granted. This movie maybe fictional, it’s called Courageous. For me it was so real, it made pick my phone and text my dad and tell him that he is the best man that I know and that each and every day, I thank God for him. I meant it with every inch of my body. You know my mum always says that the love of a mother is usually automatic because you’re joined from the beginning, biologically that is, but the love of a father, is one that has to be natured. This year, I appreciate my dad. He’s been there for me since the time I don’t remember. Each and every day he’s concerned about me, worried about me, thinking about me, hoping for the best for me, works hard for me, wonders about me and loves me so much. How do I know this you wonder? It’s the role he’s played in my life since I was born and how he does it in his own special way. To be honest, his love has made me feel like I lack nothing. Like I have everything a girl would want. I’m not yet rich, I’ve not yet made a mark in history per se, I’m not even dating…lol, but I intend to do all that and more. Basically I am not there yet, but the love my dad has showed me, given to me as I sit on my favorite couch writing this down, gives me all the confidence in the world, it gives me that zeal I need to get there. So this year, I dedicate it to my lovely daddy and family. I really thank God for them. Yes by all means, me and my baby sister are my dad’s favorites, hope my mum doesn’t get jealous. I’ve been through quite some stupid experiences this year, made wrong choices here and there, allowed myself to be stressed by things that shouldn’t be. In short, I’ve been facing the world in a new way, which is not under my parents’ wings. It’s been crazy in a new way, I’ve broken down a few times yes, you can’t blame me. However, I always stand, dust myself up and tell myself “Kawiria, you can do much better than this” and I move on. What has always kept me going through out 2011 is my family and my desire to get there, where I always dream and want to be. I know they probably don’t know, because there are some things of course I can’t go running to them for if you know what I mean, but by the mere fact that they are there when I need them even for the tiniest of things, sums it all up for me. I know you probably think, spoilt girl…hehe but nah, this is just me being grateful. 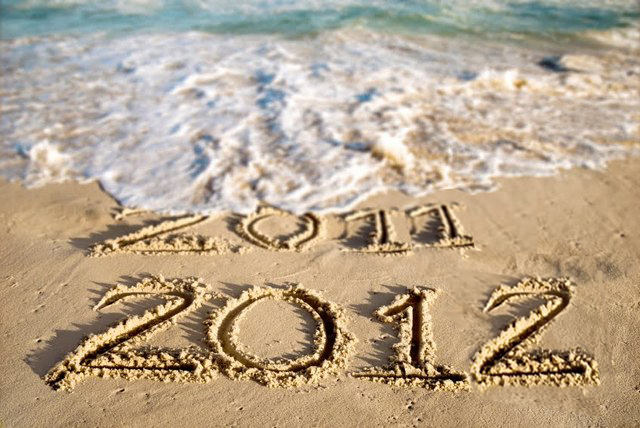 In 2012, I’m going to look at it in the form of an ocean. You know how the waves wash away some things from the shore but still retain them in its contents. I am going to have the waves clean off all the not so cool stuff of 2011, but, because that stuff in one way or another has helped make me. I will carry them forward as lessons learnt that I need to apply in future. Each and every year we always strive to change in the next, we set out things we call, “new year’s resolutions’”. We can change so many earthly things but what remains is character and personality. That’s who you are. I strive in building my character and personality such that they are the ones that will influence what I do and who I am. For instance, I can make money in 2012, but what’s money without the person? It’s just paper with a value on it, but if it’s attached to a person, that’s riches and wealth. I can complete my education and be a Masters Holder and God help maybe a PhD, but without the person, those are just certificates and a status, but if it’s attached to a person with great character and personality, its knowledge that will help build others, create change and much more. In relationships, same applies. I definitely remain with the smiley face and happy girl swag … I know most of you wouldn’t survive without that. Point in case, my cheesy workmates and friends… hehe. Cheers to a New Year lovely people. May you have joyful and prosperous one and don’t forget to put God first, he’s really good at this stuff. Plus he always wants the best for us or better yet knows what is best for us. Now that there will be no fireworks this New Years, let’s see how that goes. It’s gonna be awkward *cue high-pitched voice*, damn the Al-Shabaab maen!